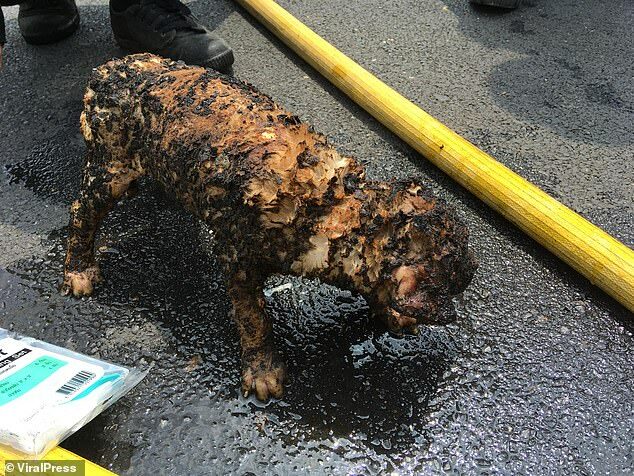 One of the puppies was found scalded and burned across several parts of its body. 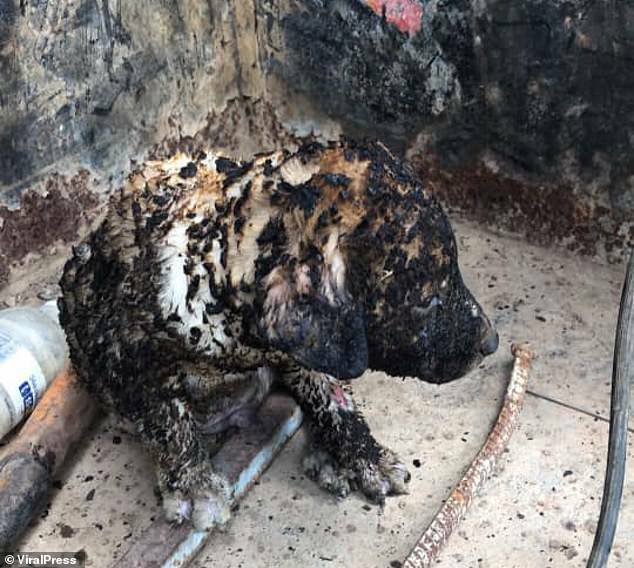 Daily Mail reported that firemen were putting out flames when they noticed two puppies struggling to escape a forest in Nakhon Ratchasima, Thailand last Friday, 22 March. The men immediately jumped over the fence to carry the two-month-old canines out. The white puppy was found in a healthy condition. 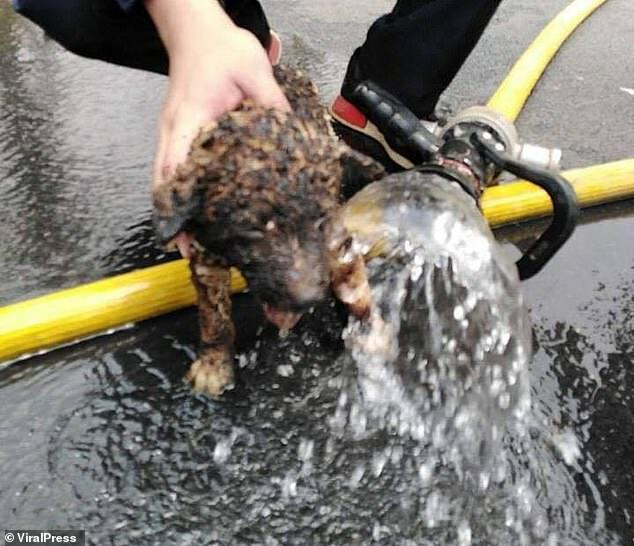 The brown puppy was burned across 20% of its body. 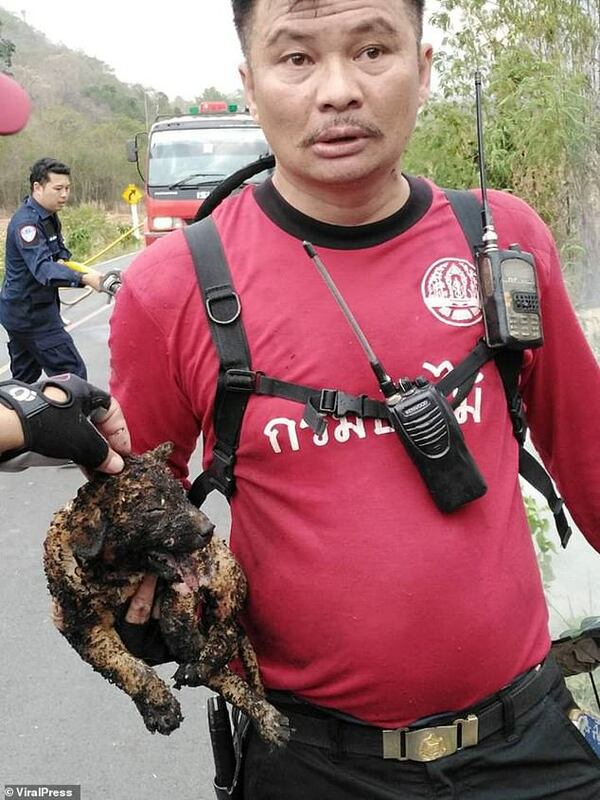 Chief of Nakhon Ratchasima's Forest Fire Control Division Noppachai Klin-sungnoen said that they were relieved to have been able to rescue the puppies in time. Unfortunately, the dogs' mother was nowhere to be seen during the incident and was believed to have died in the flames. "It was possible that these puppies had been living around the area before a fire," the officer said, adding that they were probably unable to escape the forest because the "road was too high for them." Following the incident, the white puppy has since been adopted while the brown one is recovering from its injuries at a vet. He explained that locals had set the area on fire "to clear dead trees" from the land. 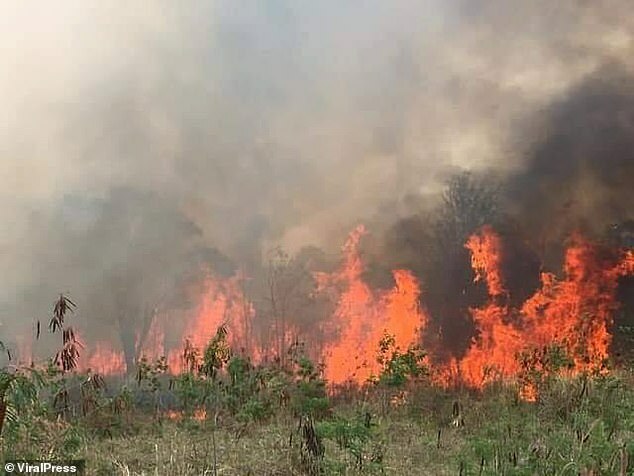 "I wish people could stop burning the forest as there are many innocent lives lost and affected by the fire," he was quoted as saying by Daily Mail.